Can't Decide - Inspire Me? On your honeymoon in Kashmir, explore the magnificent valleys, breathtaking views, splendid gardens along with experiencing a Houseboat stay. We will alert you when the price drops. Meet and greet by our representative at Srinagar Airport. Transfer to Srinagar for Lunch and after that Shikara ride in famous Dal Lake and will cover maximum of Dal Lake for two to three hour’s. After that check-in at Houseboat in Dal Lake. Enjoy candle light dinner, honeymoon cake in the evening and also rest on flower bed which will be already decorated before your arrival. Night stay at Houseboat at Dal Lake. After breakfast visit all Mughal gardens like Nishat Garden, Shalimar Garden, Pari Mahal, Cheshma Shahi and famous temple Shankar Acharya which is on the top of the hill situated at the banks of Dal Lake. Later in the evening transfer to Pahalgam. Once Check-in move out for an evening walk on the banks of Lidder river. Enjoy bonfire and outdoor music before dinner. Full day sightseeing at Pahalgam. 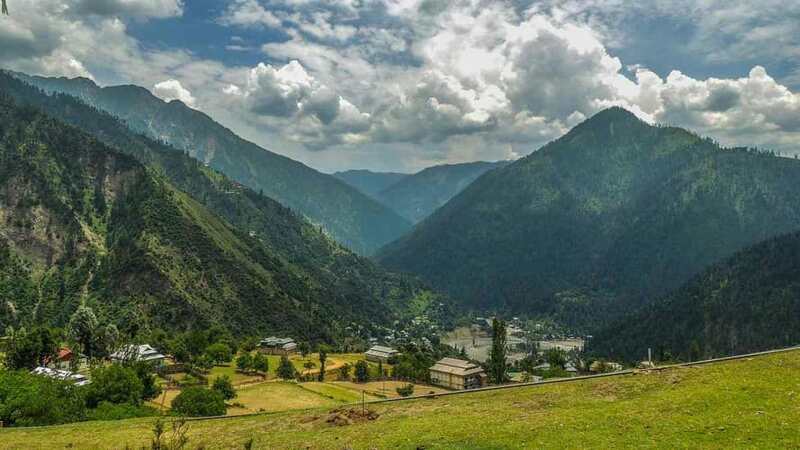 Visit Aru Valley, Chandanwari, or Dabwian, and Beetab Valley by local Cab at Pahalgam (cab not included). After having lunch visit other places like water fall, mini Switzerland and other sightseeing places at Pahalgam. In the evening transfer back to Srinagar. Night stay at Srinagar hotel. After breakfast transfer to Gulmarg. Visit Cable car Gondola and go to first phase and second phase of Gondola cable car. Visit other sightseeing places and take part in any activity at Gulmarg. Early morning time at leisure. Then transfer to airport two or three hours before departure time because of security reasons at Airport. Meals: Meal Plan - 8 Meals ( 4 Breakfast + 4 Dinner). 01 Non/ Etios cab from Srinagar Airport on arrival and drop back at Srinagar Airport on departure. 01 Non/ Etios cab for transfer to Srinagar, Pahalgam and Gulmarg. Full day and half day sightseeing at Srinagar. Meet and Greet by company’s representative on arrival and departure also. Heating arrangements in Houseboat stay. Complimentary welcome Saffron Almond tea once during check-in at every hotel. 1 hours Shikara ride in Famous Dal Lake in Srinagar (01 No. of Shikara). Bonfire and outdoor music at Pahalgam stay. Parking fees, service charges, driver allowances, tolls and taxes. Candlelight dinner at houseboat stay for one evening. Anything not mentioned under inclusions. To be confirmed at the time of booking. Sold by iFly vacations private ltd.
5. Get a call back in? We have a 24x7 helpline to assit you in finding your perfect hoiday. © 2019 Tripshelf. All rights reserved.